Sugar processing takes a surprising chemical journey. 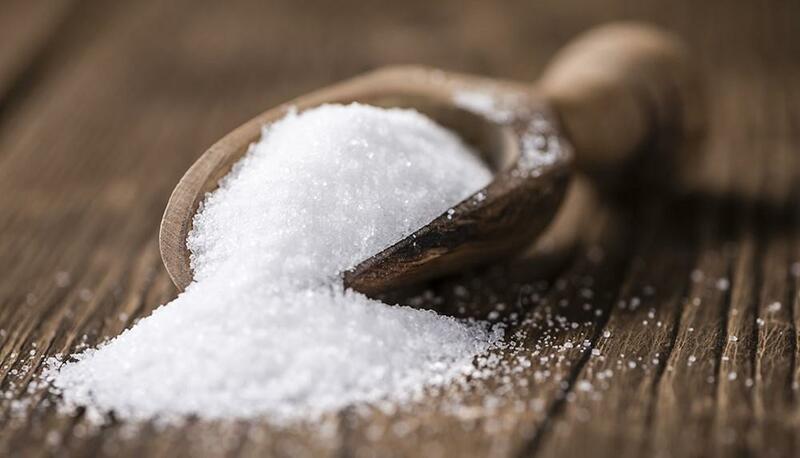 Initial extraction from crop plants such as sugar cane and sugar beets takes out sugars along with other dissolved compounds and fine particles. The juicing process is intended to remove pulp, but small particles will inevitably pass through the pulp screens. These non-sugar components are removed as the sugarcane juice passes through unit elements in the refining plant. Over the entire process, the solution is adjusted chemically several times to achieve stabilization, separation, and dehydration. While specific unit processes vary from plant to plant, three pH-dependent processes that are common to sugar refinement include liming, carbonation, and sulfitation. pH is crucial for these steps and continuous pH monitoring ensures complete and efficient processing. Sugar processing begins with the addition of lime. Lime is used to raise the pH and precipitate dissolved organics. The high pH preserves sugars in the form of sucrose and prevents reactions that would convert sucrose to other, undesirable products. Liming may be done in several stages. The pH of the sugarcane juice is initially low at around 4.5–5.5 and initial liming can bring the pH up to a neutral pH of 7.0 or as a pH as high as 9.0. By reaching a neutral pH, acids that would cause decay of sucrose to fructose and glucose are neutralized. Eventually, liming increases the pH up to 11.0-11.5 which, along with increasing the temperature of the sugarcane juice to above its boiling point, precipitates the dissolved organics. Due to the combination of high pH and high temperature, lime tanks can be a harsh environment for pH probes, and sensors need to be robust to avoid fouling and corrosion. After liming to raise the pH, the second step in sugar processing is to carbonate the sugar solution to remove the lime. This subsequently lowers the pH. It is necessary to fully remove calcium from the juice in order to avoid scaling on equipment down the line. Carbon dioxide is introduced to react with the dissolved calcium hydroxide as a result of liming and produce insoluble calcium carbonate. Even though the carbon dioxide is consumed by the reaction, dissolving carbon dioxide in water in the first place introduces excess protons thereby lowering the pH. Carbon dioxide is a readily available material as a by-product of producing burnt lime, which many factories perform on-site. Dosing carbon dioxide is trickier than dosing lime since the amount applied is not necessarily the amount dissolved. Fortunately, the extent of carbonation is reflected in the pH. The process involves staging carbon dioxide injections, where each stage involves dosing a set volume of gas and measuring the resultant pH. Once the pH drops below 9.0, all calcium will have precipitated. A final filtration step removes all suspended solids including both precipitated organics and calcium carbonate solids. Finally, it’s necessary to return the sugarcane juice back to an acidic pH before concentrating and crystallizing the refined sugar. Sulfur dioxide is used here since it fulfills three needs. Sulfur dioxide dosing can return the pH to a range of 5.0–6.0, and at the same time, it prevents glucose and fructose molecules from reacting to form colored compounds. It can also act as a biocide to disinfect the juice before the sugar content is high enough to be antimicrobial. A common method of introducing sulfur dioxide is through on-site reaction of sulfur with oxygen since transport of liquefied sulfur dioxide is expensive. Sugar processing is a sensitive operation and careful control at each step minimizes the potential for loss due to a ruined batch. It is understandable why many groups have sought to perfect and analyze their process by changing the order of unit operations and process parameters. The sugar refining process involves large fluctuations in pH, so when selecting a pH probe, check the specifications to ensure that the sensor is able to take measurements over the entire pH range. Additionally, the pH probe will be exposed to high pressure, high temperature environments; for this reason, an online, industrial style pH sensor is recommended. Several steps in the process involve the precipitation of solids out of solution. Some sugar refiners may find that the pH glass measuring surface becomes caked with these suspended solids, necessitating frequent maintenance. This issue can be addressed by selecting a flat surface, self-cleaning pH electrode. With pH information in hand throughout testing and operation, it is easy to produce a high-quality product. Like this post? Subscribe to our blog for a monthly recap of posts.